Stacy Pace assisting with a new rescue. 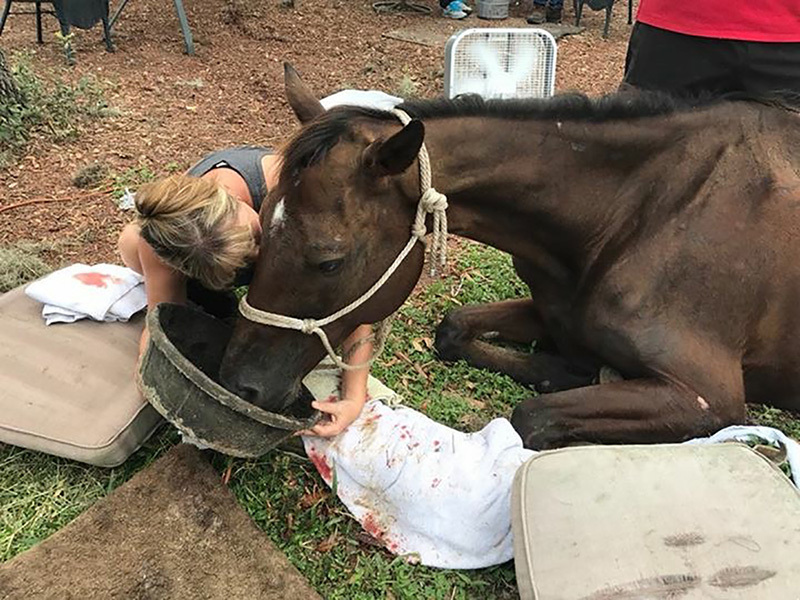 Some 200 volunteers travel in and out of Riverview’s RVR Horse Rescue seven days a week – and some nights – caring for abused and neglected horses. 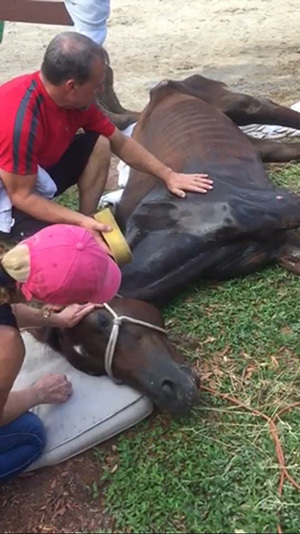 Even with active volunteers and generous veterinarians, though, horse rescuing is expensive. So, when RVR got invited to apply for verification from the prestigious Global Federation of Animal Sanctuaries, the volunteers added some extra gas over the past year and got it done. The acknowledgement from this global group can bring in more volunteers and funding, organizers say. Membership is a win for RVR, said rescue founder Shawn Jayroe. The rescue was inspected and provided documentation and records, photographic evidence of its work. It was a nearly year-long process that can bring even more recognition to the rescue. “We were extremely proud,” Ford said. Jayroe said RVR received its certification in the mail just last week. RVR, which has rescued and rehomed nearly 180 horses in recent years, cares for 20 to 40 horses at its property regularly, Jayroe said. Additionally, it has expanded its educational outreach in the community, including in schools and is currently training two mini horses as therapy animals. Alan Stackhouse and Teresa Ramos helping a new rescue. RVR got accredited last year to take in and rehabilitate injured thoroughbred race horses, as well, then rehome them. 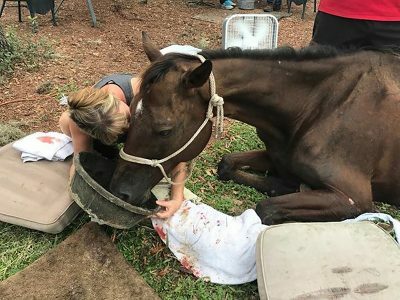 “We don’t take in a whole bunch of thoroughbreds, but we take in injured (former race horses) and rehab them,” Jayroe said. “They mostly have leg injuries from racing. Lisa Gold is really good working with the legs.” Gold is married to RVR veterinarian Richard Gold and has a ton of medical experience, herself, Jayroe said. The GFAS accreditation is made possible through a grant from The American Society for the Prevention of Cruelty to Animals and the Kenneth Scott Charitable Trust. RVR is called upon by the public and by law enforcement across the state to intervene in cases of abuse and neglect. It also provides help for struggling horse owners in the form of gelding services and hay. To learn more, visit www.rvrhorserescue.org/ or connect with RVR on Facebook at www.facebook.com/RVRHorseRescue/. To learn more about GFAS, visit www.sanctuaryfederation.org/about-gfas-2/.